Graham Scott will be the man in the middle for tomorrow’s trip to Old Trafford. It will be the first time that he’s officiated the Cherries since September’s 0-0 draw with Leicester City, whilst he is yet to take charge of Manchester United this season. Across his eight top flight games refereed in 2017/18, Scott has handed out 13 yellow cards and one red card, as well as awarded a total of three penalties. The 49-year-old possesses plenty of experience, having joined the National List of Referees back in 2008, subsequently being promoted to the Select Group of Referees in 2015. Tomorrow evening, Scott will be assisted by Adam Nunn and Richard West, with Mike Dean the fourth official. The Cherries travel to Old Trafford tomorrow evening for the first meeting between the two sides this season. Ahead of the game, we looked at five points to preview prior to kick-off. 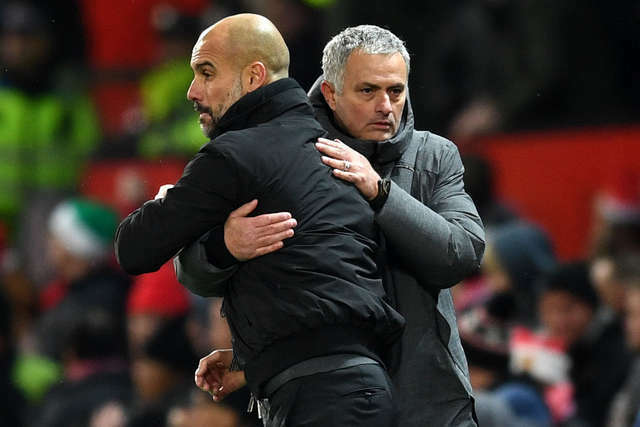 The Manchester Derby grabbed the headlines on Sunday, as Nicholas Otamendi netted a second half winner for Pep Guardiola’s City, taking them 11 points clear of United in the Premier League table. 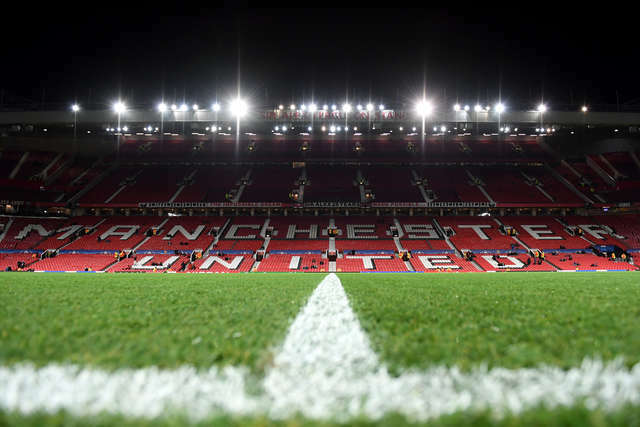 However, it was after the final whistle that caught the eye of most as reports emerged of altercations inside the Old Trafford tunnel. Jose Mourinho was said to have had milk thrown at him, whilst an exchange of words with City players was also reported. Nevertheless, both United and City played down the event and there’s no doubt that the Red Devil’s will be fully focused on tomorrow fixture with the Cherries. United have won 11 out of 12 of their home fixtures this season, with their only loss at Old Trafford coming against Manchester City last weekend. West Ham, Everton and Crystal Palace all conceded four at the Theatre of Dreams, whilst Basel also lost 3-0 in the Champions League. 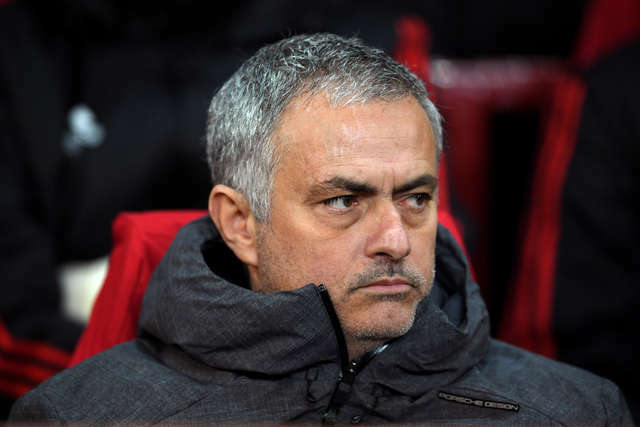 Jose Mourinho’s side will certainly be a force to be reckoned with, but with the Cherries having only lost one in their last six, confidence can be taken going into the game. Jose Mourinho certainly boasts an impressive CV, having managed the likes of Chelsea, Inter Milan and Real Madrid. Now at United, the Portuguese is enjoying a good start to the 2017/18 campaign, with the Red Devils sat second in the Premier League. In his first season at the club, he won both the League Cup and the Europa League, as United qualified for this year’s Champions League after defeating Ajax in the final. Whilst only meeting United on four occasions in the Premier League, the Cherries have managed to pick up four points against the northern outfit. An eventful 1-1 draw at Old Trafford last season earned Eddie Howe’s side a point, but it was the year before that the Cherries recorded their most memorable result against the Red Devils. Junior Stanislas’ second minute goal put Eddie Howe’s side ahead at Vitality Stadium, before Marouane Fellaini cancelled it out 20 minutes later. However, Joshua King came up trumps in the second half to put the Cherries ahead against his former club, making it a memorable day in Dorset. With so many stars in the United line up, it’s hard to pick just one player out. 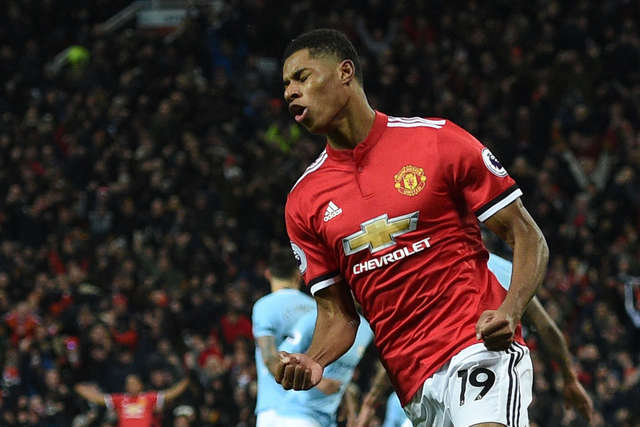 However, after Marcus Rashford’s rise to prominence and his goal in Sunday’s Manchester Derby, there’s no doubt that he’ll be full of confidence. The forward, who has netted a further nine times this season, has already notched up 31 appearances in 2017/18, six of which came for Gareth Southgate’s Three Lions. He played a pivotal part in United topping their Champions League group, as well as their current second place position in the Premier League. Ahead of the Cherries' trip north to play Manchester United on Wednesday evening, Eddie Howe talked through the injuries and selection news from his squad. Right-back Adam Smith could return to the fold after serving his one-game ban in the weekend draw with Crystal Palace, while there was no bad news injury-wise after the Selhurst Park encounter. "We have nothing fresh," said the AFC Bournemouth manager. "We came through the game okay. We have a few tired legs and a few knocks, but nothing major came out of the game." 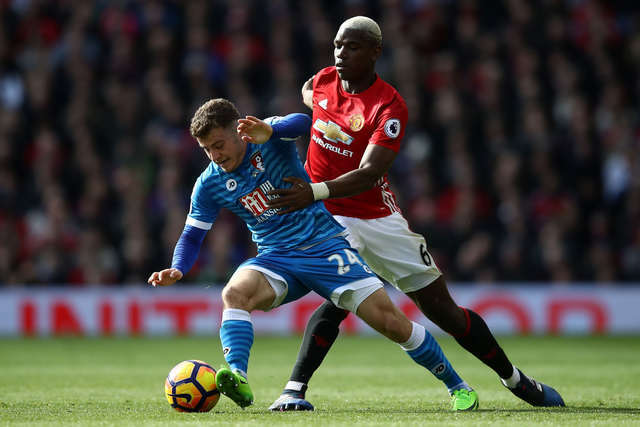 With Harry Arter on the substitute's bench in recent weeks, Howe confirmed that the combative midfielder has a big role to play this month. "He's responded very well, he is a key player for us and I think every one knows how highly I regard him. "Andrew Surman and Lewis Cook have performed very well recently so he has to force his way back in, but with the games coming up I'm sure he'll get his chance." Elsewhere, Tyrone Mings has had a setback in his recovery from a back injury having felt further discomfort. The defender is set to seek specialist opinion on the issue. On the eve of AFC Bournemouth's midweek trip to Old Trafford, Eddie Howe gave his pre-match press conference at Vitality Stadium. You have to relish it, I always look back to our League Two days and we'd have done anything to put ourselves in these positions. In the previous two seasons we've got some good results in these games and they've helped to define our seasons, so we're looking for the same again. It can really lift confidence levels to a point where it has a really positive effect on the rest of your season, there will be no surrender from us. It will be difficult but we're a side who always play to our strengths first and this match will be no different. Their approach is a very good one so I don't think they'll change too much. Their home record is very strong so I think you have to take Manchester City as a one off. That's the furthest thing from my mind, though not the winning part. After a football match there are a lot of emotions and sometimes people don't realise how big that is to your outlook. I think sometimes things will over-spill, the challenge is to keep your emotions in check at all times and that's what I try to do. I can only speak for myself, but you always want to get that balance right, you don't want to rub people's noses in it. That's common sense really because you don't want to be disrespectful. I'm confident that we're going to get the best from Jermain, I have always been confident about that. I always say with new players coming to the club that there's a period of adjustment as every manager wants something unique. His two goals at the weekend were superb and hopefully now that's just the start. He was very good to me last season, I really didn't feel well for our game at Old Trafford. He spoke to me after the game and was very good with me. He's an outstanding manager, his record is second-to-none so I have a lot of respect for him.